Acasta Europe, a leading ATE insurance provider, has announced a new addition to its range of funding options to be offered in conjunction with its extensive range of ATE insurance products. Acasta has entered into an exclusive arrangement with Sparkle Capital Ltd to provide third party funding for all sizes of commercial litigation. Acasta and Sparkle Capital already offer a very simple, straightforward, non-recourse litigation funding facility for larger cases where damages are likely to exceed £3,000,000. As with similar facilities the funding can be used to fund solicitors own costs and disbursements and the cost is calculated by way of an interest charge on the funding drawn down and a share of the damages awarded at conclusion of the case. If the case is lost the fund is insured and repaid to the funder by the insurer. The new addition to the Acasta range is known as Sparkle Capital Lite and is designed for smaller cases where the funding requirement is substantially lower than those limits currently on offer. Sparkle Capital Lite is aimed at cases where the need for funding is from as little as £10,000 to a maximum of £200,000. Unlike current funding facilities there is no deduction from damages and the cost is a simple set figure based on the amount of funding drawn down and the time the loan is outstanding. The fund can be used for solicitors own costs and disbursement (including retrospective costs incurred). It is offered in conjunction with an insurance policy against adverse costs and cover that provides for repayment of the loan if the case fails thus making it non-recourse. The premium for this policy is deferred until conclusion and is self-insured. “When we created Sparkle Capital Lite, and added it to our range of funding options, we were following up from the feedback by our panel Solicitors. They now have the facility to offer a funding option to clients for any size of case”. 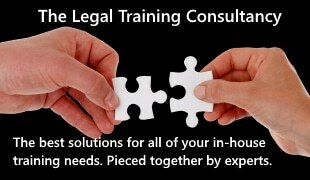 “We already have arrangements with Claim Finance to fund clinical negligence claims and Novitas to fund Employment Tribunals so we feel that these new initiatives with Sparkle Capital demonstrate our partnership approach to deliver meaningful and applicable facilities to a wide range of practises regardless of size, location or disciplines”. Sparkle Capital Limited is part of the Done business group which includes Bet Fred and Peninsular Business Services amongst many other companies and property interests.